New Whatsapp Dark mode | Too Good features you will have to know. 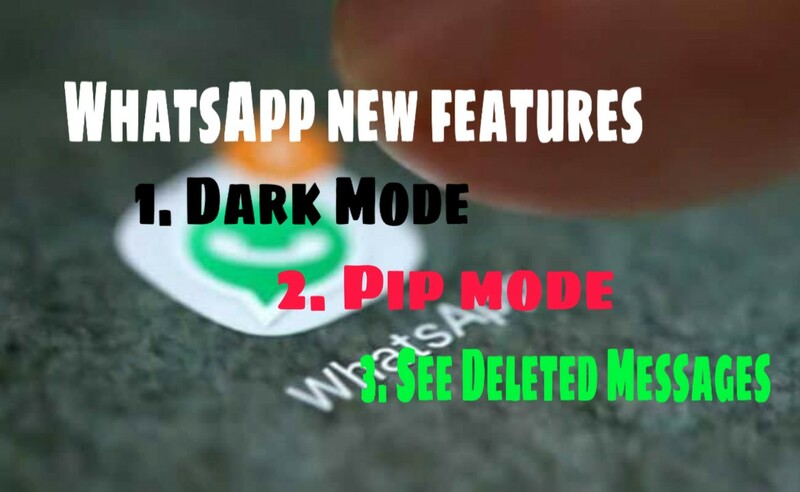 HomeAppsNew Whatsapp Dark mode | Too Good features you will have to know. This will be the WhatsApp's Dark Mode feature, it will soon be used. After the arrival of this feature, the background of the chat will change to the dark black color, whereas the name and its icon will appear in all white colors. One of the most popular messaging apps, Whatsapp is now preparing to bring a great feature for its users. WhatsApp is about to launch the Dark Mode feature in your app soon. WABetaInfo has uploaded a concept image about it and explained how this feature will look like. According to the photo posted on Twitter on behalf of WABetaInfo, after the arrival of this feature, the background of the chat will change to the dark black color, while the name and its icons will appear in all white colors. After the Dark Mode feature arrives, the light of our eyes will have little effect and it is believed that it will soon be rollout for Android and iOS users. Be aware that this feature will be similar to the previously available Dark Mode on YouTube, Twitter, Google Maps and other apps. According to reports, users can switch to this feature accordingly. At the same time, several reports also said that WhatsApp can also add an option, which will automatically turn it on according to the time set by the users. However, no information has been given about this from the company. Explain that Google has already confirmed that the use of dark mode in Android phones costs less battery. Dark mode is becoming part of the default operating system. This is an important feature of the latest Android 9.0 Pie operating system. If users use phones in low-light conditions then this feature is of great use. In addition, if Google believes in 43% less battery use in dark mode. Now users around the world will not be able to forward messages to more than five people at a time. The messaging app has made a big difference in sending messages to WhatsApp. The company has said that users around the world will not be able to forward the message to more than five people at a time. WhatsApp APP and Vice President of Communications Victoria Grand said that earlier users could forward messages to 20 people or groups, but now this limit has been reduced to 5. This means that the user will no longer be able to forward any message to more than 5 people. Victoria Grand said that in view of Fake News and growing rumors, it was started in India in July and now this limit has been implemented worldwide. In India, WhatsApp was stepped up in July 2018, which was meant to prevent the spread of fake and hacked messages on WhatsApp. These fake messages have worked to incite many incidents of mobs lining in India. At that time, WhatsApp wrote in a blog post: "We have found that the users of this app in India forward more messages, photos and videos than any other country in the world." WhatsApp offers new features for the day visitors come to the convenience of their users. In view of this, WhatsApp recently launched a new feature for the video. 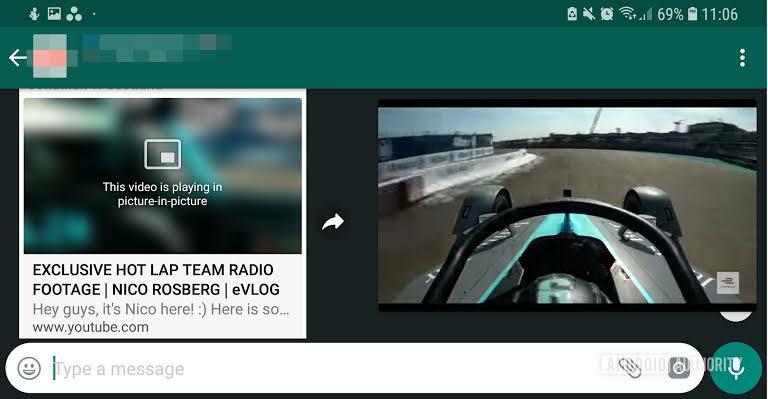 The name of this feature of WhatsApp is Picture in Picture (Picture in Picture or PiP) mode. 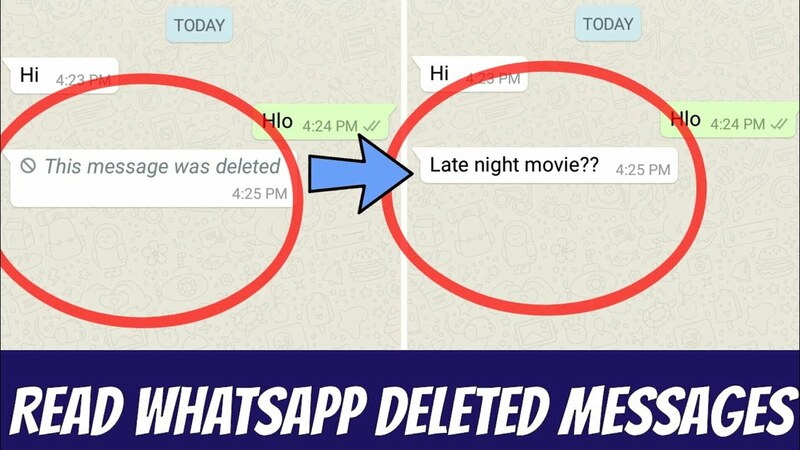 This new feature will change the look of your video viewing on WhatsApp. The advantage of this new feature is that if you have a video from outside, you can watch that video without leaving WhatsApp out there. That is, if you have a link to Youtube on WhatsApp you can see it right there. You can see how this works from Hacks Queen's WhatsApp PIP Mode feature. To update this feature, you must use version 2.18.380. It currently works for hosted videos on platforms like Youtube, Facebook, Instagram and Streamable. When you share a video of these platforms or they come to you, you will be able to play them in Picture in Picture mode. Please tell that PiP mode helps you navigate through video chat while watching videos. Looking at the videos you can easily switch from one chat to another. 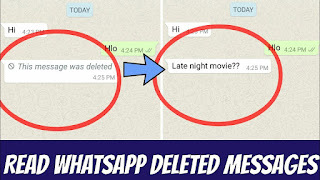 *Hope this article help you to know about new feature of whatsapp do share.